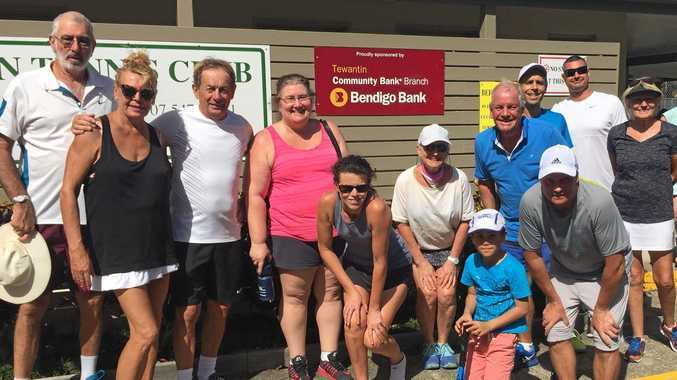 TEWANTIN Tennis Club reckons regular hit outs on the court can deliver game set and match against feeble old age. The club is not surprised the ABC's Health Report claims playing tennis improves your life expectancy by 9.7 years, more than any other sport assessed. Club spokesman Jason Reynolds said researchers accessed data for 8577 people for 25 years and analysed the differences between eight sports: tennis, badminton, soccer, cycling, swimming, jogging, callisthenics and going to the gym. The researchers accessed the data from the Copenhagen City Heart Study and published the findings in the Mayo Clinic Proceedings. The gains in life expectancy were tennis, 9.7 years; badminton, 6.2 years; soccer, 4.7 years; cycling, 3.7 years; swimming, 3.4 years; jogging, 3.2 years; callisthenics, 3.1 years; and health club activities, 1.5 years. The researchers noted that "leisure-time sports that inherently involve more social interaction were associated with the best longevity”. "So if you want to raise your life expectancy, grab a tennis racquet and head down to your local courts,” Jason said. Tewantin caters for all grades of players and social tennis can be played every day of the week. Club tournaments are held throughout the year and social functions follow. For more details contact Jason on 0412 831 770.